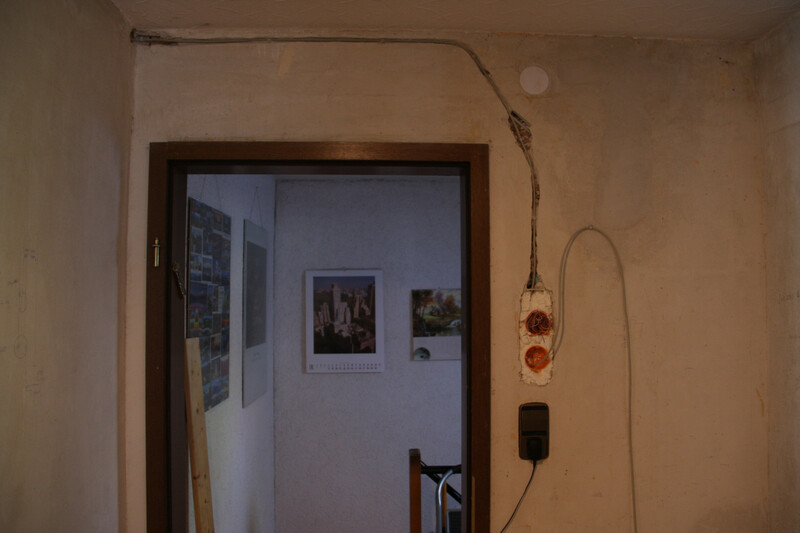 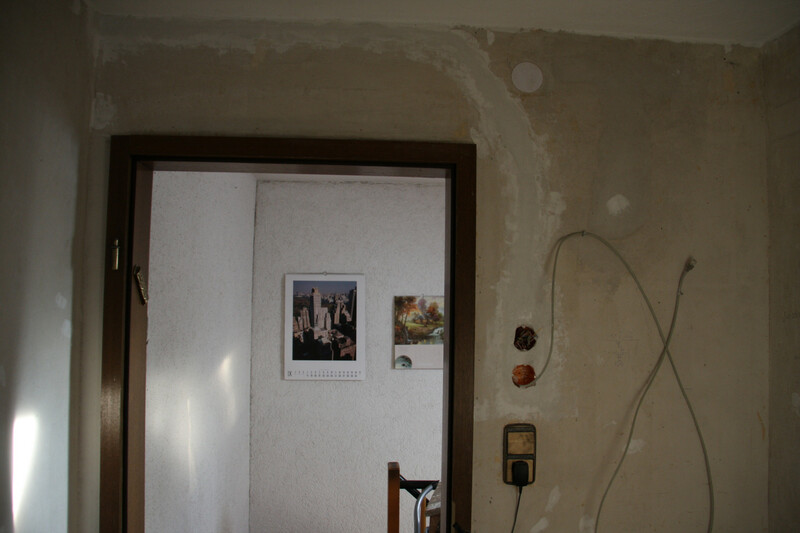 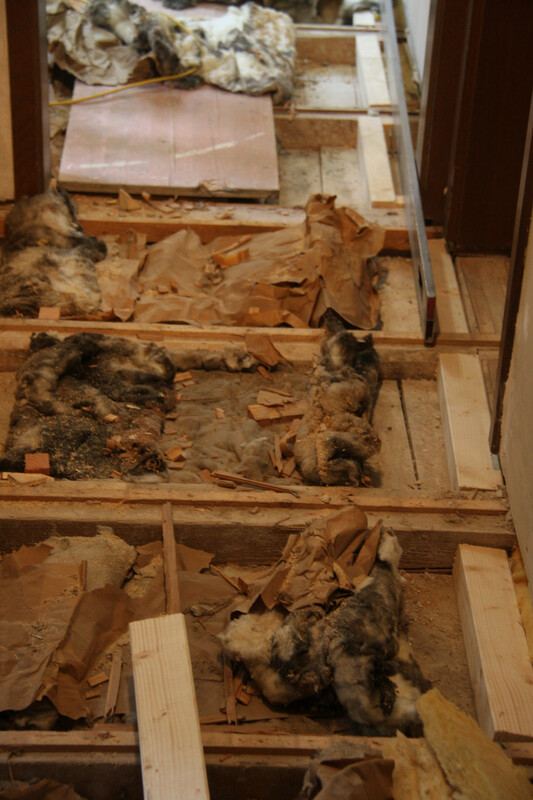 Our house was built in 1960, so from time to time things have to be repaired. 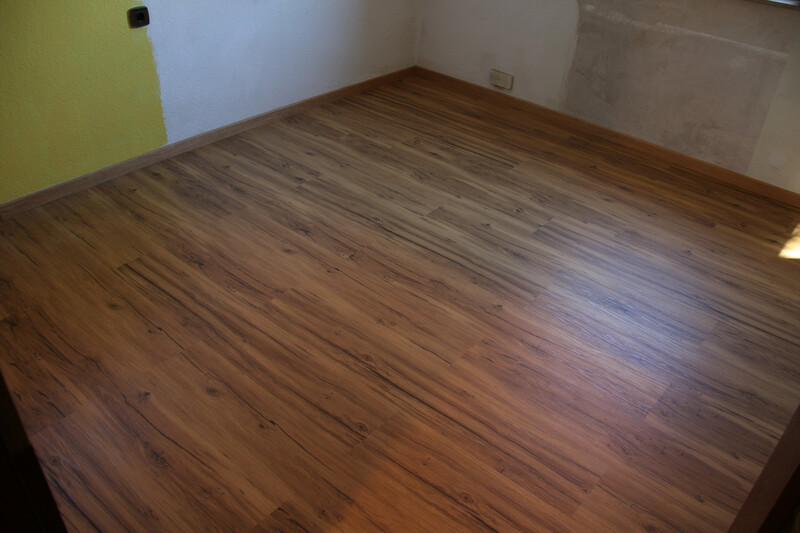 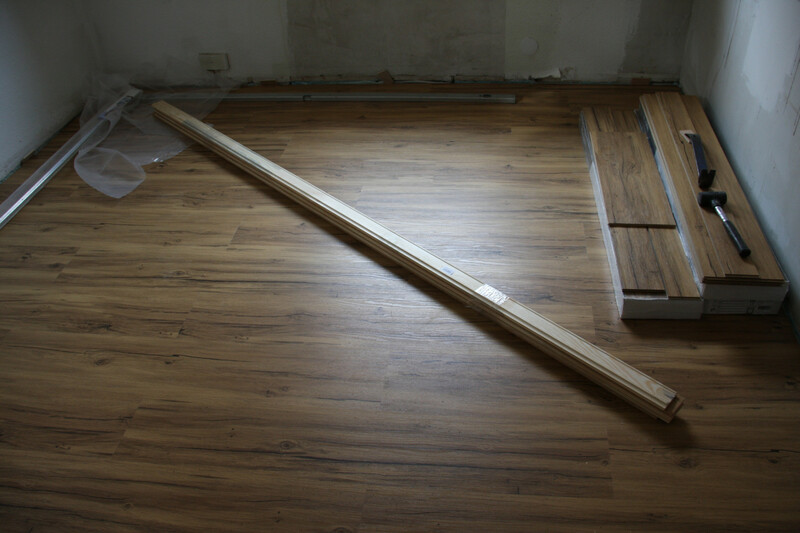 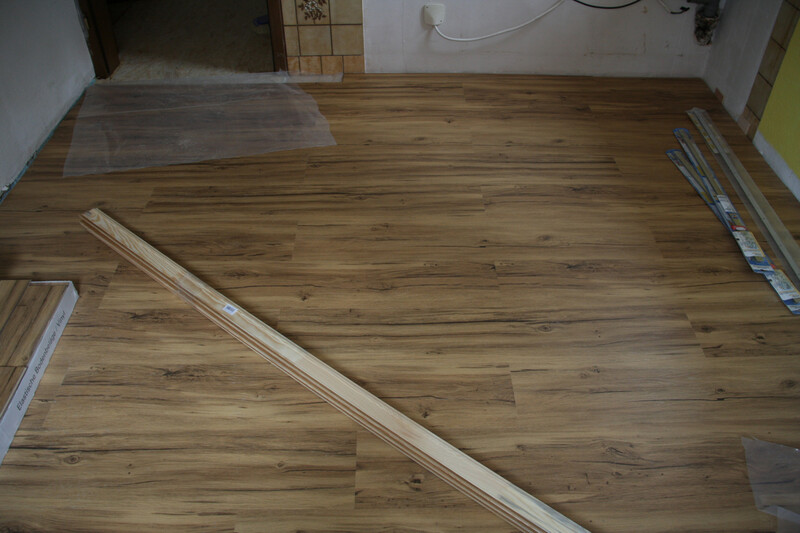 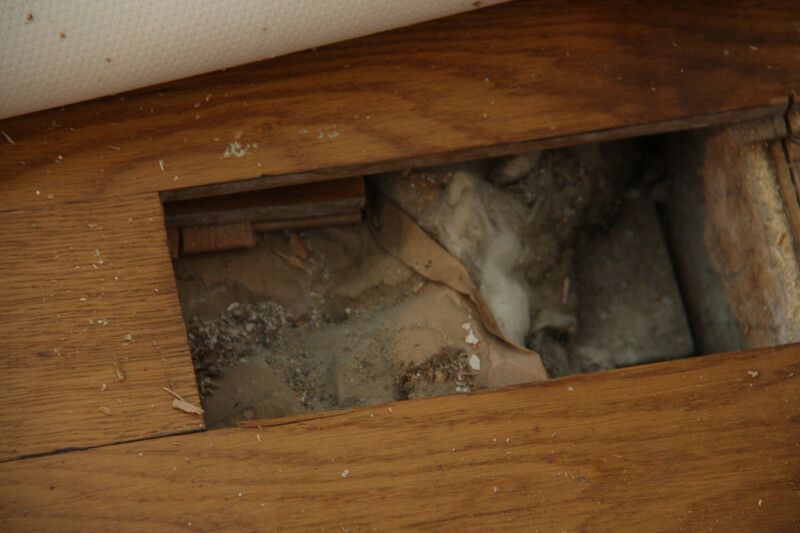 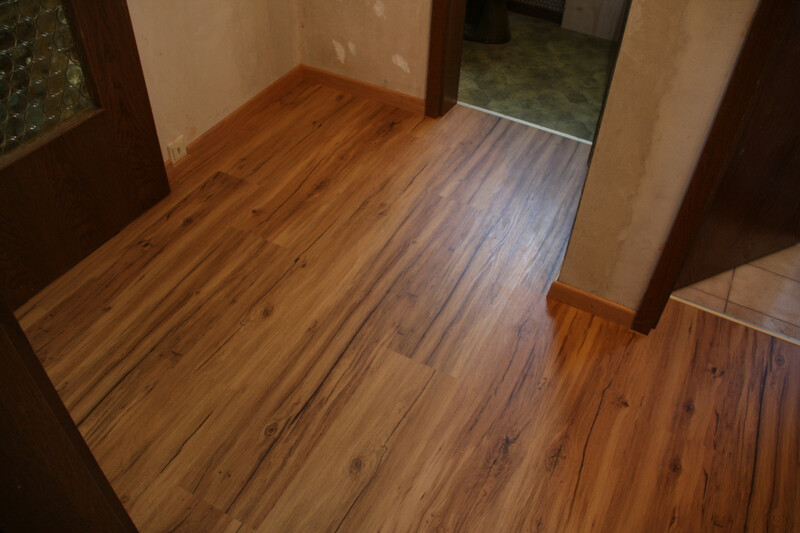 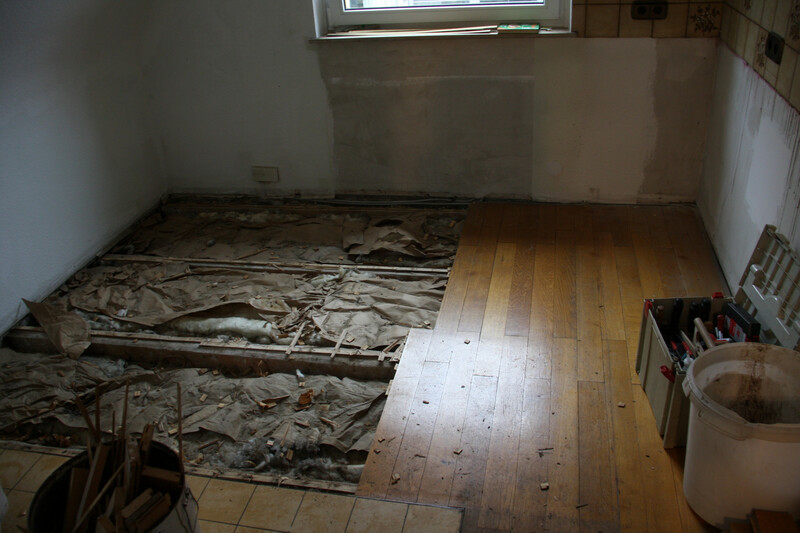 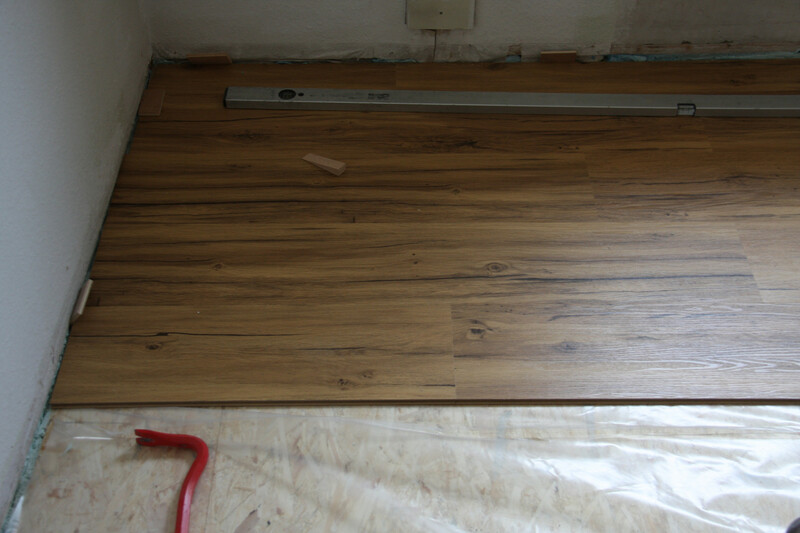 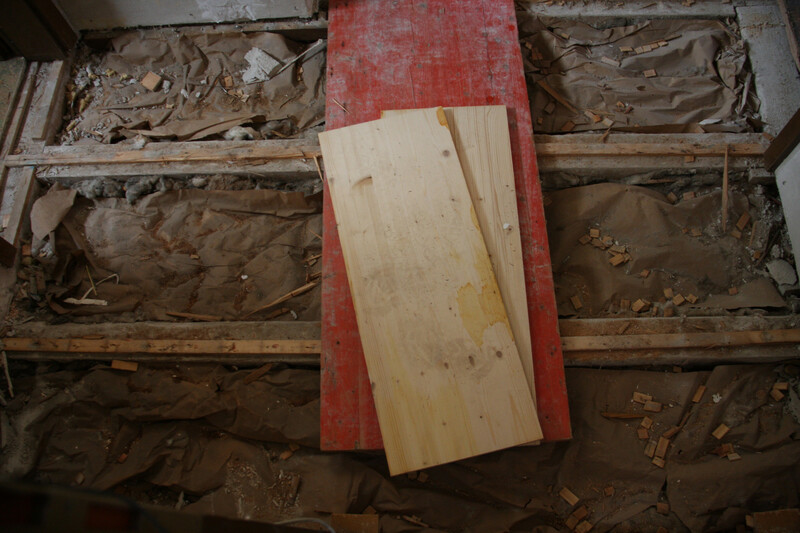 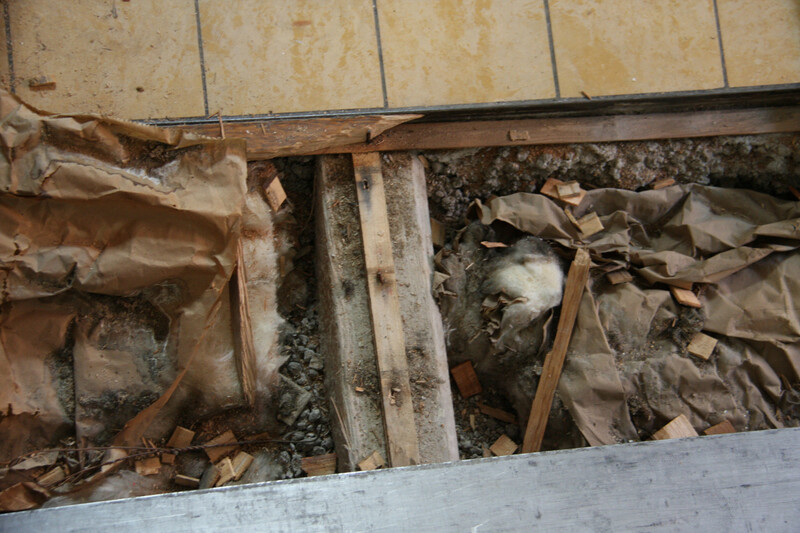 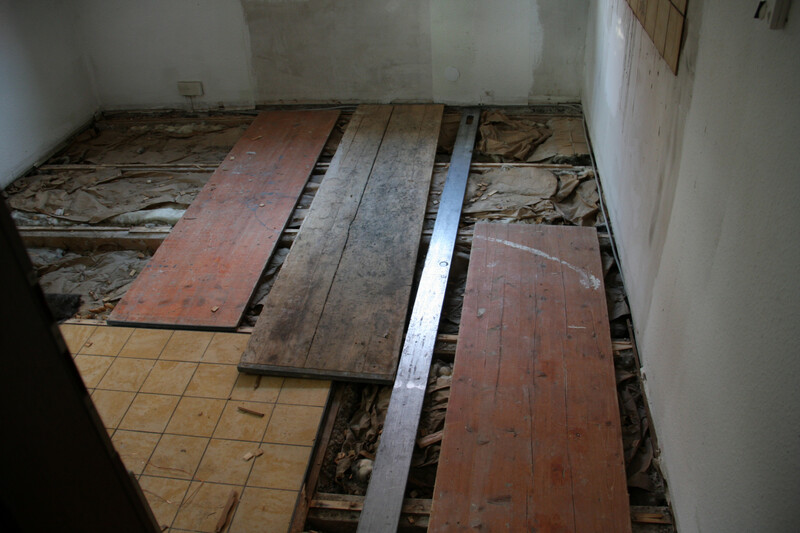 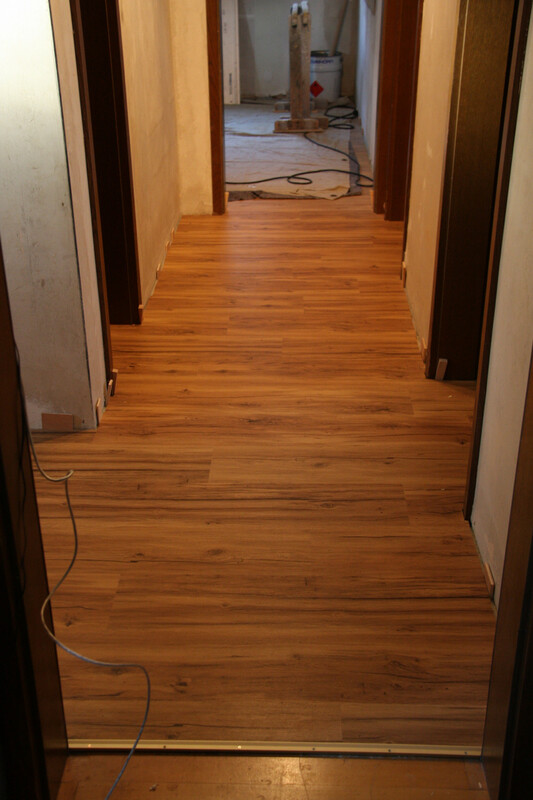 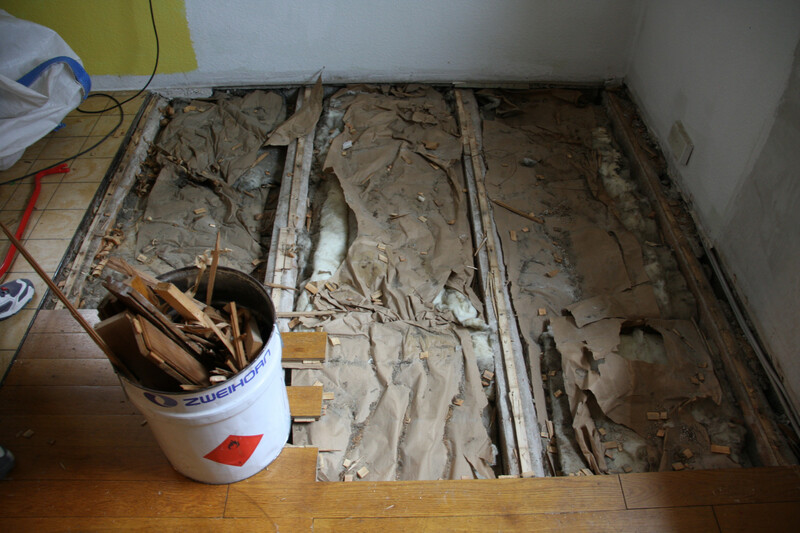 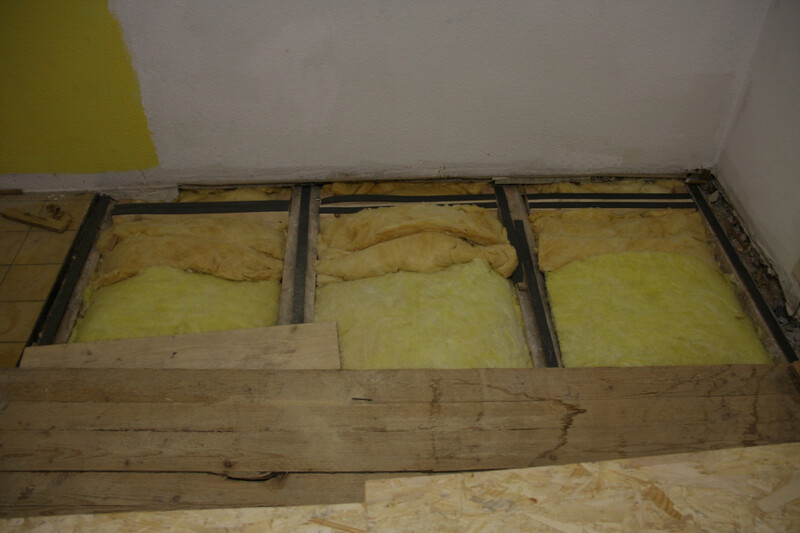 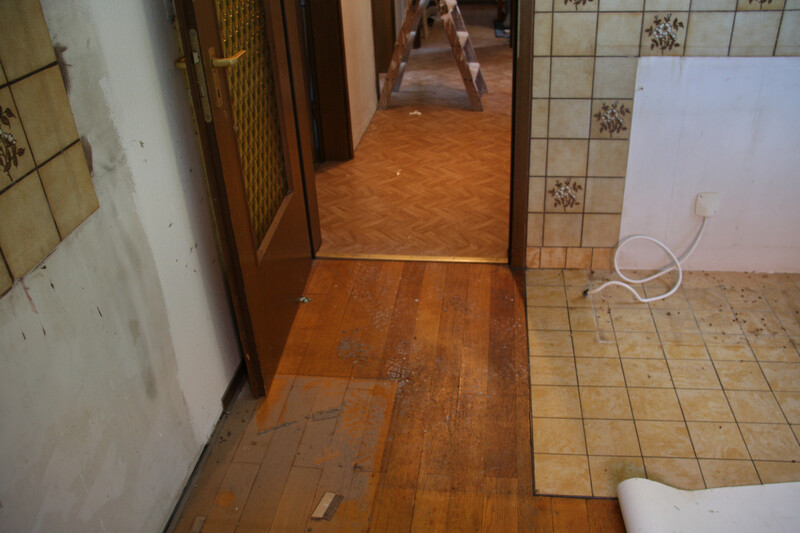 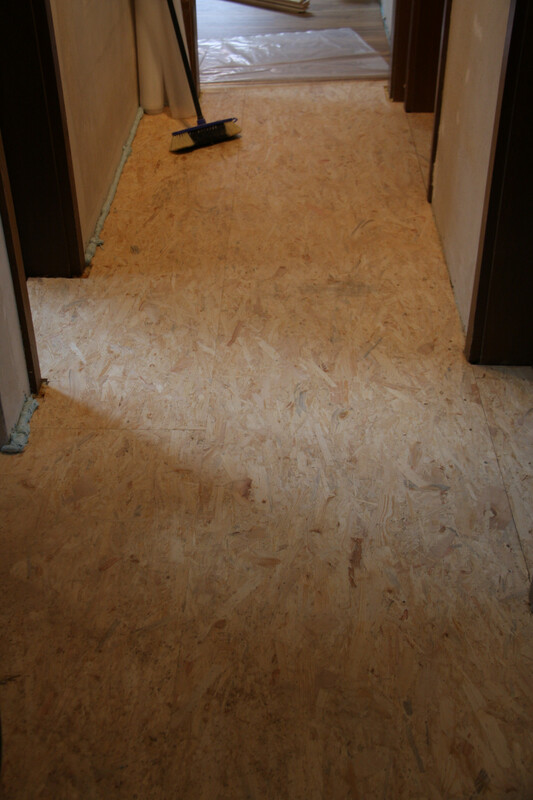 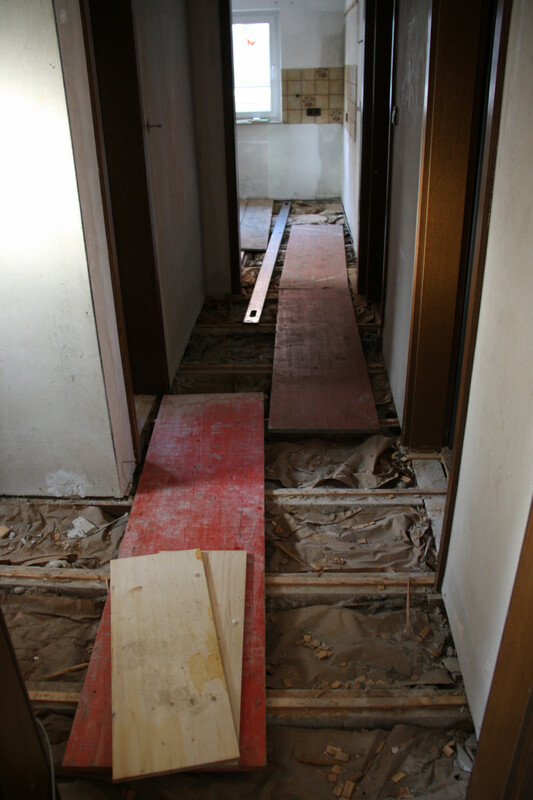 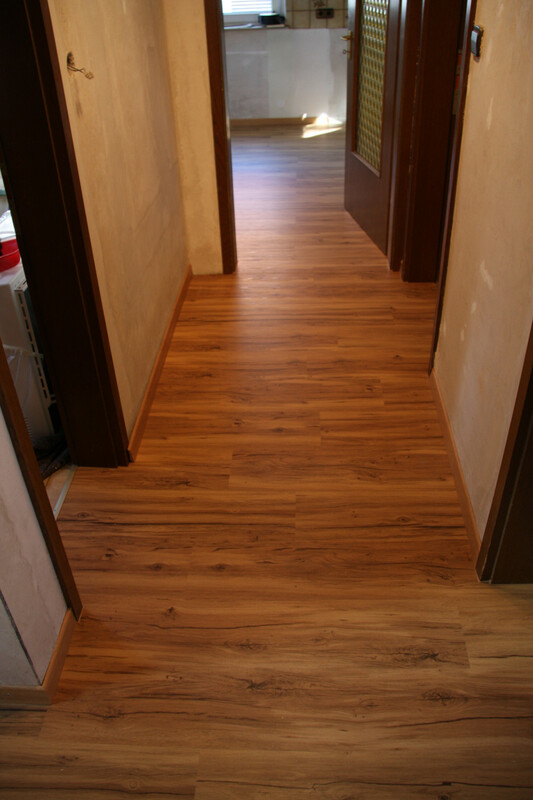 The parquet floor in the upper apartment started to get problematic, a few planks started to be lose and could break through. 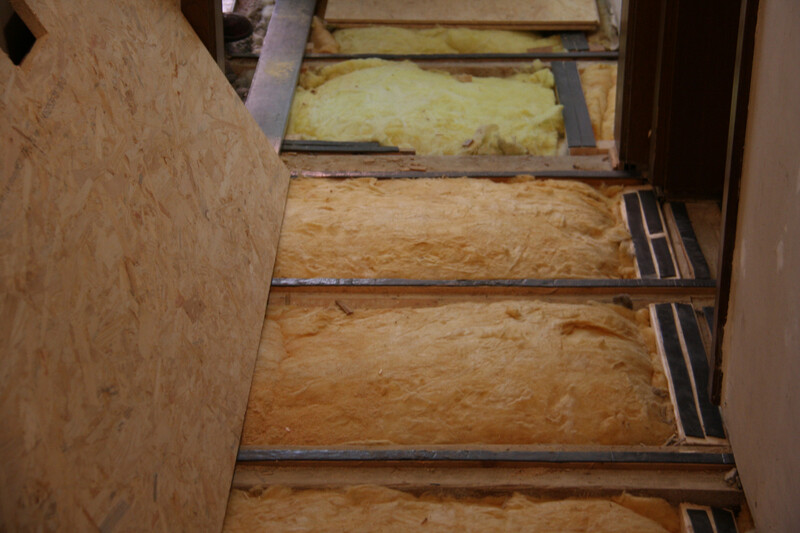 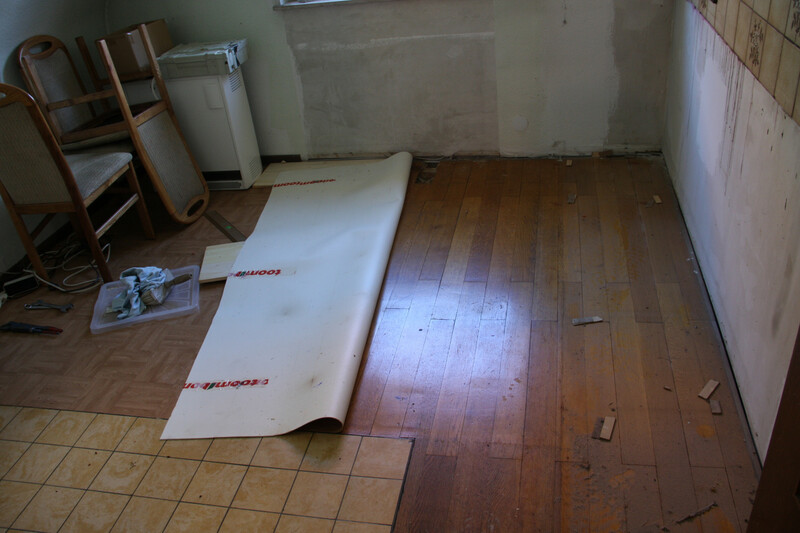 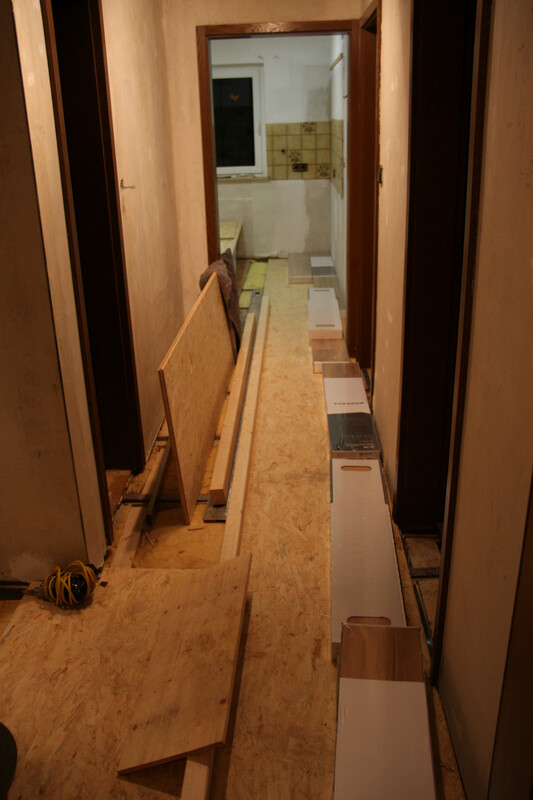 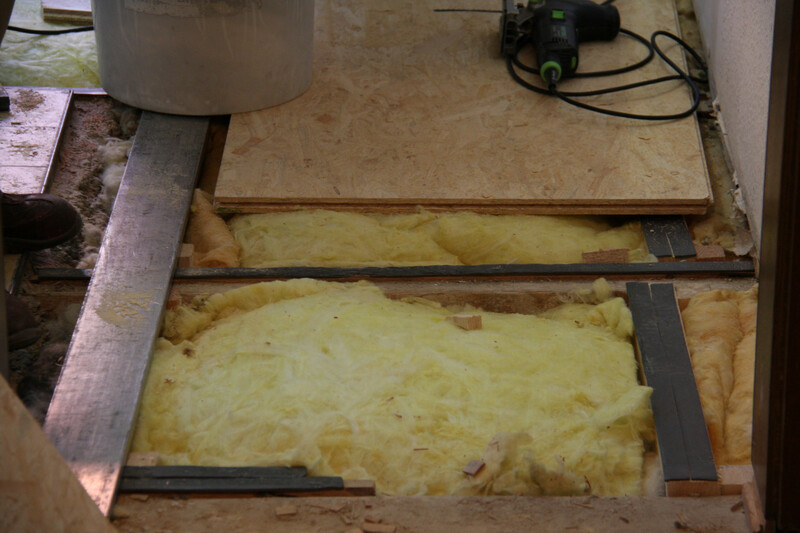 So the floor in the kitchen and corridor had to be removed, the sub-structure rebuilt and a new parquet laid out. 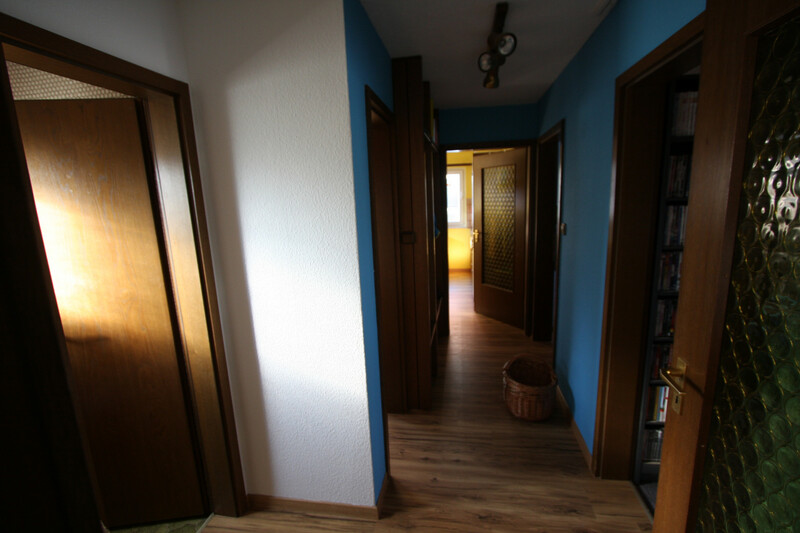 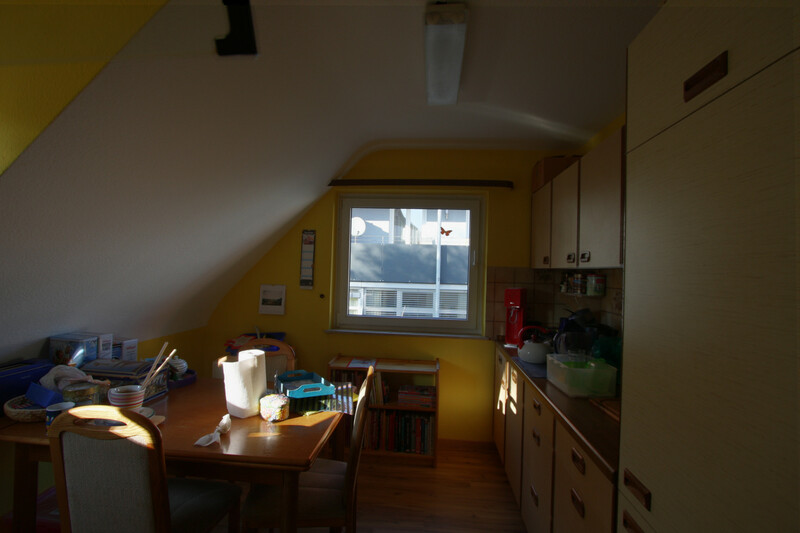 The other rooms are OK, that can be done at a later point in time.